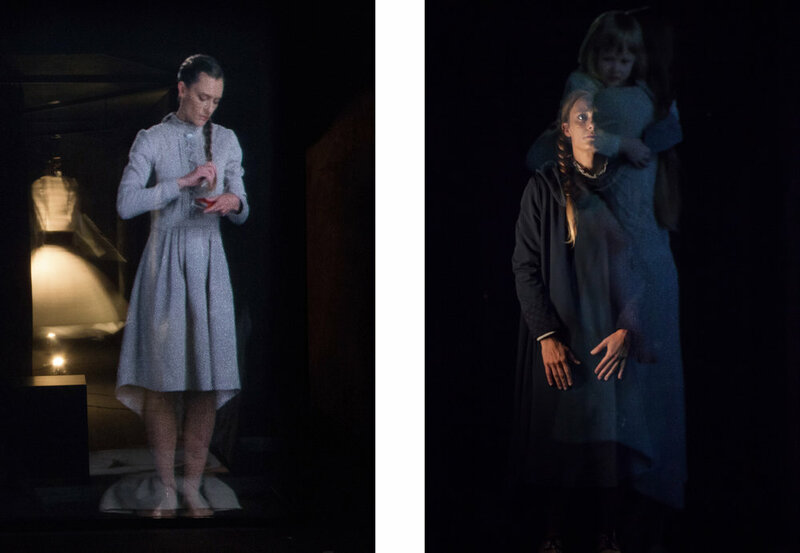 A site-specific spatial layout of moving images, objects, music, light and performance was based on the motives taken from the book “To the Lighthouse” by modernist writer Virginie Woolf. 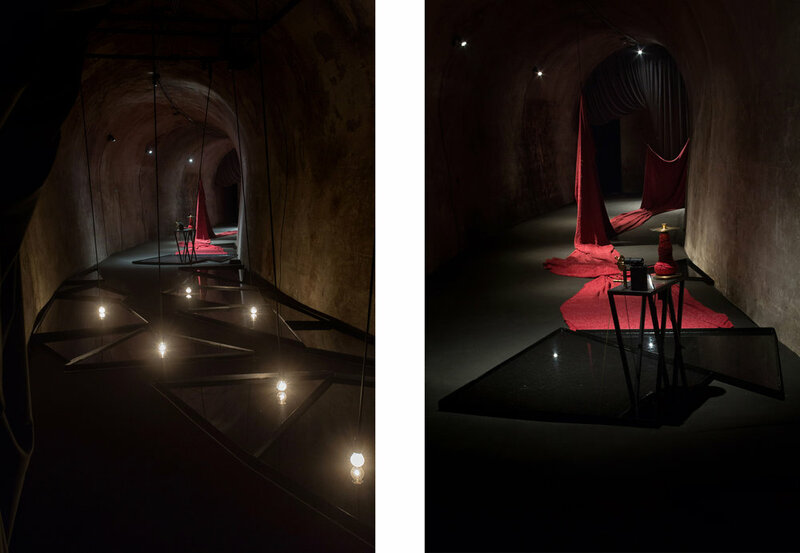 The installation was placed in a tunnel an off space part of the Puppet Theater Ljubljana. The rhythm of the space was dictated by moving objects, spoken words, sounds, music and performance; they followed the atmosphere, containing the fragments of their story. The excitement stemed from the pursuit of a slight balance between the inner desire to become an artist and belonging to intimacy within the family, to find happiness in small everyday miracles, which can be embraced only through the grace of time. The internal dialogue between the objects, music and performance was like an inverted pocket of consciousness, which invited the public to indulge in colored dreams, impressions of visual and sensual images.